NuWorks has been around since 2011, which makes them one of the younger software development companies in the industry. What’s great to see is that they offer their products to US based casinos, one of very few in the industry these days to do so. It’s fair to say that NuWorks are still one of the smaller companies in the market and so their range of games is fairly limited, but they are linked quite heavily with RTG (Real Time Gaming), who are a major force within the industry. 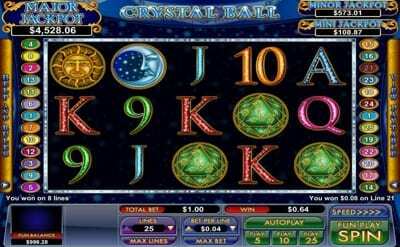 At the minute the software is available as an instant play version via a Flash friendly browser. The company work almost exclusively on slots and with just 30 games to choose from the range is pretty thin on the ground if truth be told. 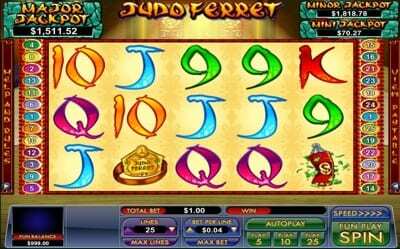 Thankfully, the games that you can access are of a really high standard, with many of them having different themes and also different in-game features such as paylines, reels, and bonus rounds. What NuWorks have done well is create a compact gaming experience for the casinos that they work with, which are Lucky Club Casino, Buzzluck Casino, and Begado Casino. It’s clear to see from the way in which the casinos incorporate NuWorks games that they have worked closely with one another to choose games their punters will really want to play. As we mentioned, the range of games on offer is limited, but a few standout titles included the Crystal Ball, Judo Ferret, and Magic Show. These just so happen to be three of their newest titles as well, which makes them all the more popular. The design ethos seems to have remained pretty consistent throughout most of their catalogue and this sets the bar high and keeps it there. The table games range is very small with just 5 different games to choose from. These are Baccarat, Blackjack, Let ‘Em ride Video Poker and Tri Card Poker. To be honest, this grouping of table games doesn’t surprise us all that much, given how popular they are in the US market where NuWorks focus a lot of their attention. There is very little information available online about how the company started, which is shame, but they seem to be a secretive bunch. It does appear that the NuWorks brand works in many more sectors than simply online gambling though, with marketing collaborations with companies such as Toni and Guy, Nestle, Canon, Acer, and Chevrolet. There is also a company called Hastings International B.V who seem to be the people behind NuWorks. It’s unlikely that we are going to see NuWorks really start to take off in the gaming industry sadly. Often when you see companies with such a diverse portfolio of business interests it’s clear that they don’t want to commit to one sector, which isn’t always a bad thing in itself, but when you compare them with the likes of Microgaming and PlayTech then it really becomes apparent how far behind the bigger brands they really are. If they don’t want to focus all of their attention on the slots industry it is unlikely they will catch up, but equally, maybe they don’t feel they need to.